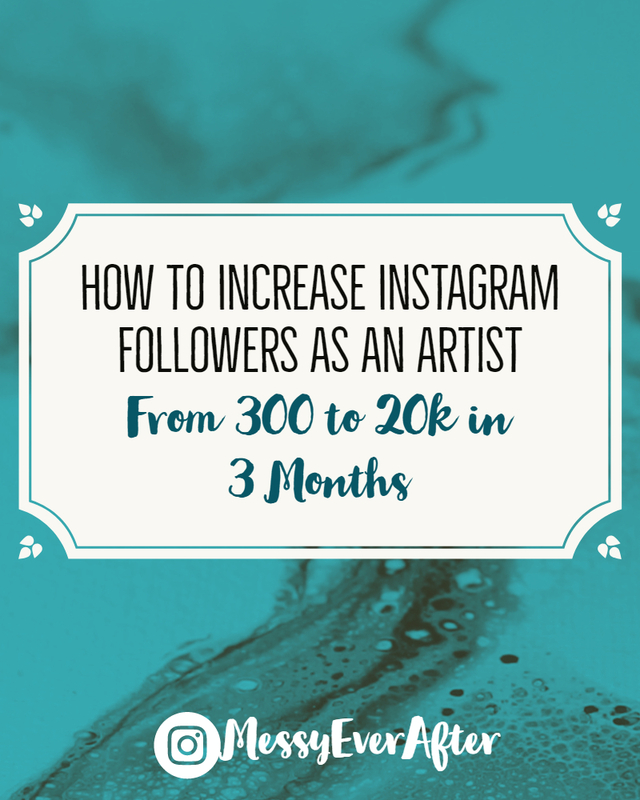 How I went from 300 to 20k followers in three months. Well, now I’m one of those turds. As of last night I hit 20,000 Instagram followers. I gained a ridiculous amount of followers in a short time. For anyone who has been following my Instagram account (@MessyEverAfter) in the last couple of months, I’m sure you’ve noticed things kind of exploded. I have been waiting for my growth to plateau, and somehow it just keeps trucking along. Multiple people have asked me how I did this, and I figured it’s about time I write a blog post on it. Honestly, it’s hard to say exactly what should be done to gain followers. There is no guarantee that following these steps will get the same results for another account, but it’s a great place to start. Before September, I had been working for months on trying new things to gain exposure. I wasn’t seeing much progress. January of 2017, I had 117 followers. September, I had 300. Super encouraging growth, huh? SO What happened in September? From 9/15 to mid October, I experienced a steady growth of about 50 to 100 new followers a day after a couple of accounts shared pictures of my work. Then, a huge account (500k followers) shared one of my process videos on 10/27, and my following grew even faster. Look at that spike! All of this is organic growth. I didn’t use a bot. I didn’t do ‘follows for follows’. I didn’t pay anyone to manage my account. I definitely worked hard to get here, but there isn’t really a secret formula to success. Do the work, focus on quality, and have patience. Create a Cohesive Profile: Take a look at highly successful art accounts like @liobaliobabrueckner and @lindstrom.emma. Their profiles are branded and striking. Post images and videos that adhere to your style and brand. If your work is black and white contour drawings, posting a colorful abstract piece will look out of place. At the beginning of the year, I was posting anything I created. Good, bad, related, unrelated—I posted it all. My profile looked like an artist without direction–which was accurate and explains why my following didn’t move much. Research Hashtags: Find hashtags that are relevant to what you do and use them on EVERY post. I found a few big accounts within my genre of art and I borrowed their tags. You can use up to 30 tags per post. I choose a variety of common and less common tags. I’ve also tagged my brand as #messyeverafter. (It’s cool when other people start using a tag you’ve created!) The goal is to get into the top 9 of your tags. Switch to a Business Profile:You’ll need to attach your profile to a Facebook page (which you should already have anyway), but the analytics provided through a business profile are pretty insightful. Post Every Day: I used to only post Monday through Friday. I was treating my art like a full time job that I could forget about on the weekend. I now understand just how important it is to become mildly addicted to social media to grow your following. I make sure to post 1 to 3 times a day. I even plan posts for when I’m on vacation or away from the studio. Follow other artists and engage with their posts: I don’t know that this has helped my following, but I know it has made me feel like I have a community I can genuinely interact with. As an introvert, I really don’t like ‘networking’, but this has actually been a really fun way to do it. Respond to messages and questions: I have three types of followers. Those who create, those who buy, and those who do both. I love all of them. I have made sales through Instagram DMs. Be open and inviting, and people will be more likely to become your customer. People will ask you the same questions over and over again, but answer them with the same enthusiasm as if it’s the first time someone asked. Have your art shared by big accounts: I was lucky. I didn’t seek out the accounts that shared my work. I would like to think that because I did the prep work above of creating quality content and tagging my work, this made organic shares possible. But now that you know this is an option there is no sense in waiting for someone to share your work. Reach out to large accounts now. Some of them have hashtags specific to their account that they choose new art from. Some of them charge you to share your work, which I haven’t paid to do yet, but I’m considering it as an option. When looking at share accounts, check out the engagement on posts. Are they getting a lot of likes and comments? I’ve seen a few pay-per-share accounts that have a large following, but very little community. I wouldn’t advise giving them your money. If you are just starting out, small accounts are more likely to share your work. Just do some research and start messaging people. Follows for Follows or Likes for Likes: This is where you spend time liking photos and following random people in the hope they will follow you back. 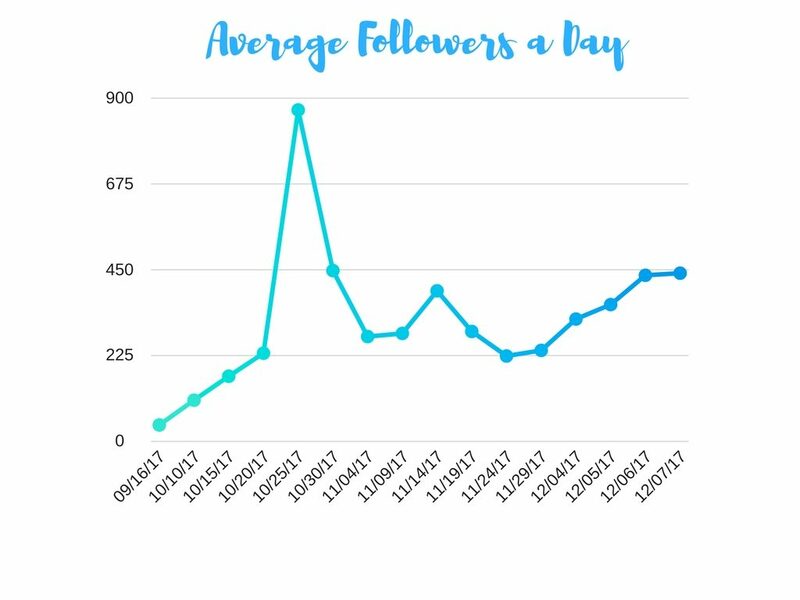 It’s time consuming, your new followers may not stick around, and eventually the amount of people you’re following overshadows the followers you have. Tip: Just like and follow the posts and accounts you genuinely want to look at. Instagram Bots: Bots can get you banned. Bots can go very wrong. Basically, you can use a bot to follow, like, and comment on other accounts by targeting hashtags. You can choose hashtags relevant to your brand and the bot will target accounts that use them. Sure, you can grow your following without even looking at your account, but you lose the sense of community and your new following may ditch you if you unfollow them. I haven’t used a bot on this account, but I have seen them in action and I value organic growth much more. 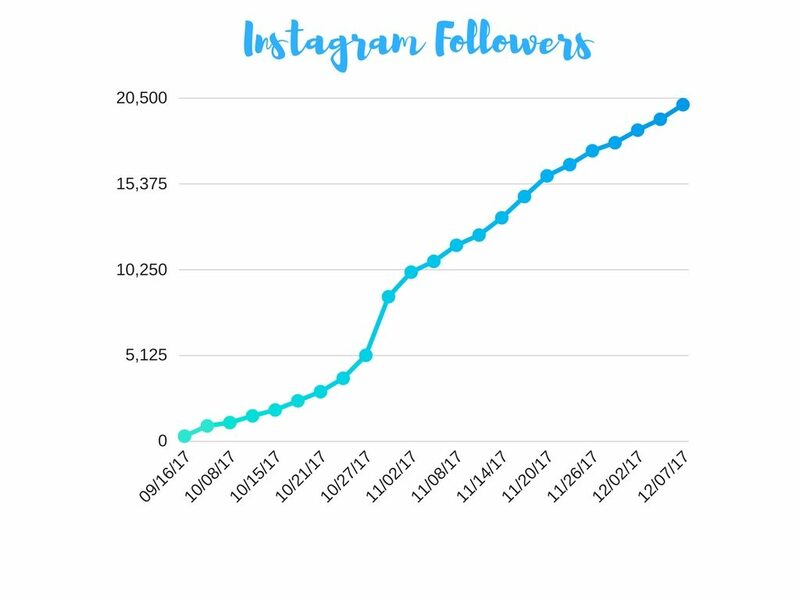 Growing your following can take time. I have been a “professional” artist, on and off, since 2010. I think it’s fair to say that the success I have experienced in the last 3 months has only been made possible by the journey I have been on over the last 7 years. For a long time, I had no idea what I was doing and I too easily abandoned my dreams when I didn’t get an immediate reward. I always came back to art, but I wasn’t fully dedicated to my current path until a few months ago. messyeverafter: As an artist, I’ve always struggled with which direction to take. I love playing with different materials and styles. My subject matter always varies. A lot of my work may even seem disconnected. But I think I’ve finally done it. I’ve finally found my artistic path. The pieces that I’ve been working on lately fill me with a sense of comfort and contentment. A week later, my following began to grow. Sometimes everything happens all at once. Sometimes you spend 7 years wondering why you can’t fit into the normal world and just be happy with a 9 to 5 office job. I hope this post is helpful to any artist out there looking to grow. If you have quetions or comments please comment below. I would love to provide more information if it can help another artist flourish! Someone recommended I check out your page and I’m so glad I did! I love your writing style and that you share your knowledge so generously, THANK YOU so much for that! I am very happy they recommended my page! I am always happy to share what I have learned. Thanks for reading! Happy to help! haha and I’m glad my minor in creative writing is working for me! This is a really great post Kelly.